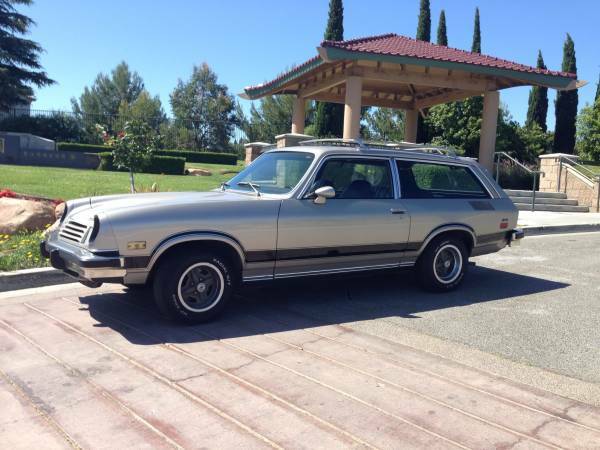 As discussed before here, the Vega is a pretty interesting car, for its unrealized potential, its design influences, and the innovation in its production. Unfortunately, as was often the case for GM in the 1970s, the potential of their ideas was often cut down in the execution, whether it be the fault of the accountants, the production team, or someone else. On the other hand, look at what happened to companies where engineering innovation (or difference for difference’s sake) was allowed to thrive – where is Saab? Where is Lancia? Where is NSU? 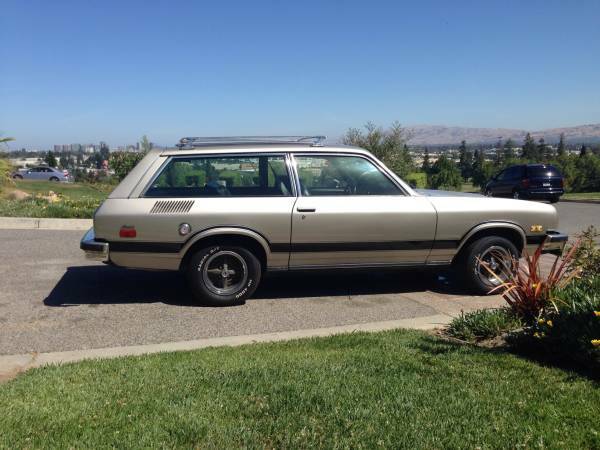 Check out this 1974 Chevrolet Vega Kammback GT for sale for $3900 in San Jose, CA. Unfortunately, the new-for-1974 impact bumpers mar the clean lines, but the sport striping is pretty neat, and the wheels are very 1970s, recalling the wobbly-web wheels found on Lotus racing cars of the preceding decades. This particular car is a 4-speed and is said to have only 79,000 miles with one owner. It comes with all the original documentation, including registrations back to when it was new. Vegas are often prone to rusting, and if you believe the listing someone has posted about this car, there is some rust on this car. The seller’s statement about the car only going up in value is open to interpretation, but there’s no doubt they’re ever-more rare. 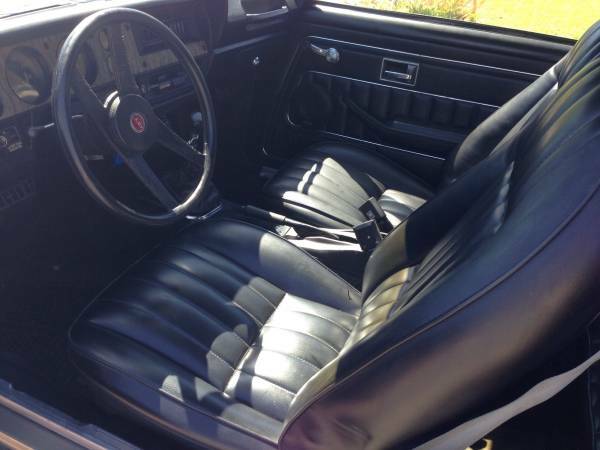 The interior certainly looks to be in good condition, and the black vinyl is resistant to any sort of staining. No cracks or splitting are visible in the pictures, which is surprising for any California car of this age. While this is not as unusual body style as a 3-door wagon, the 2-door wagon is also fairly unusual – are any currently in production outside of the Ferrari FF? This has the potential for an interesting car collection – Vega wagon, Pinto wagon, Jensen GT, Beta HPE. Adding a Cosworth engine to the Vega would give the Jensen a run for its money. What else would you add to your shooting brake collection? This entry was posted on June 24, 2014 at 4:27 pm and is filed under Feature. You can follow any responses to this entry through the RSS 2.0 feed. You can leave a response, or trackback from your own site. Don’t forget to include a VW Fox wagon in your collection. Jeez, if only I wasn’t on the other side of the world.